The Mentalist Photo Gallery: Who Gets Shot? We're inching ever closer to the The Mentalist Season 6 finale. 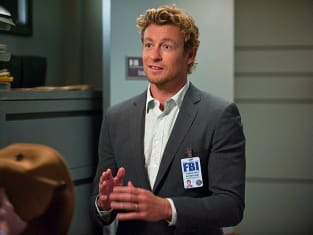 Along the way, the action looks like it won't exactly be slowing down on The Mentalist Season 6 Episode 20, as a grand jury is convened to decide whether or not Patrick Jane will stand trial for the murder of Red John. Elsewhere, Teresa Lisbon gets cozy on the couch with Marcus Pike. Has she made her decision about moving to Washington D.C.? Is there any chance Jane can change her mind if she has? Finally, in the middle of a firefight, one of the FBI team gets shot. Who is the victim?!? 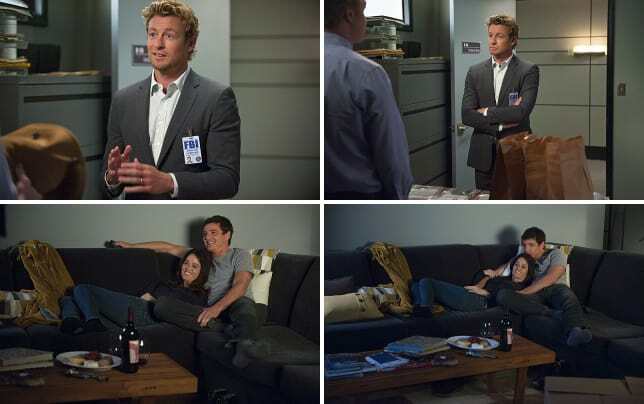 The Mentalist Photos: "Il Tavolo Bianco"
Remember: You can always watch The Mentalist online any time via TV Fanatic. Objection. You said murder. Thomas McAllister may have shot and strangled himself. Permalink: Objection. You said murder. Thomas McAllister may have shot and strangled himself. You guys didn't answer my question. Did anyone narc on me? Permalink: You guys didn't answer my question. Did anyone narc on me? The Mentalist Round Table: "Il Tavolo Bianco"